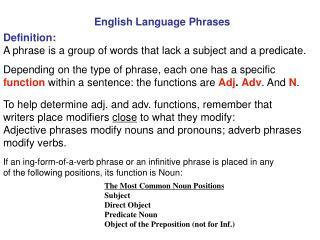 Subject: English Language. 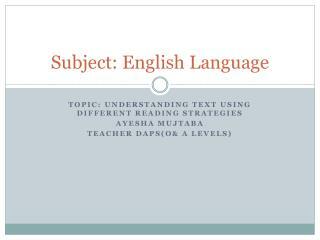 Topic: Understanding Text using different Reading Strategies Ayesha Mujtaba Teacher DAPS(O& A Levels). 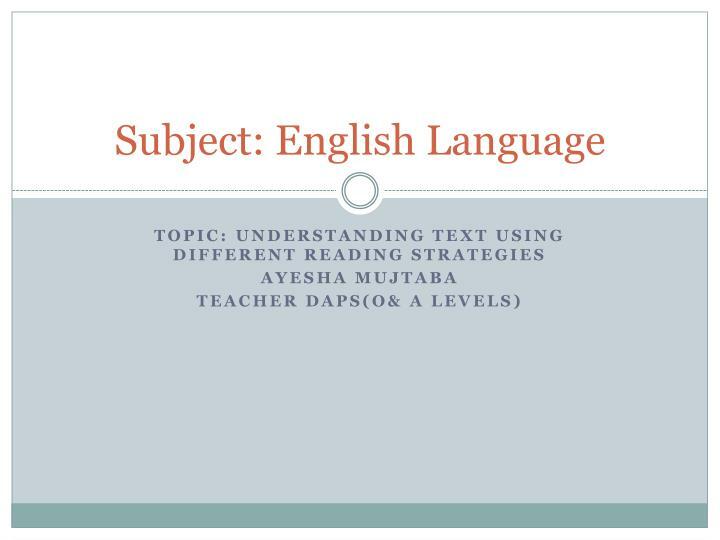 Understanding text using reading strategies. 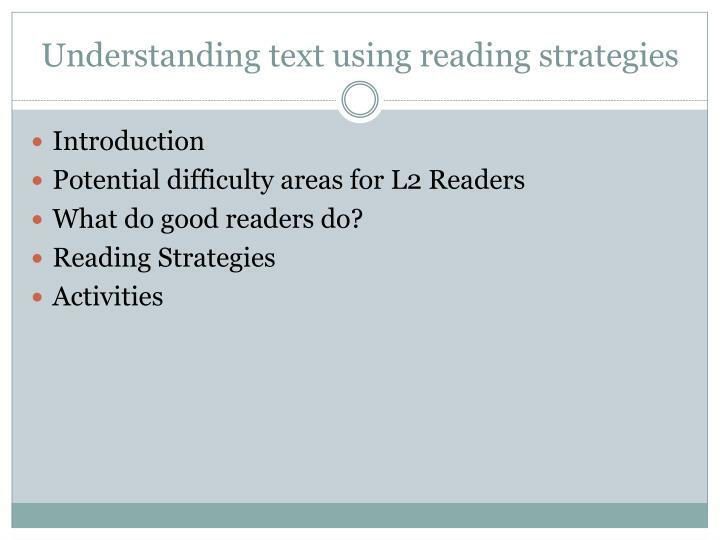 Introduction Potential difficulty areas for L2 Readers What do good readers do? 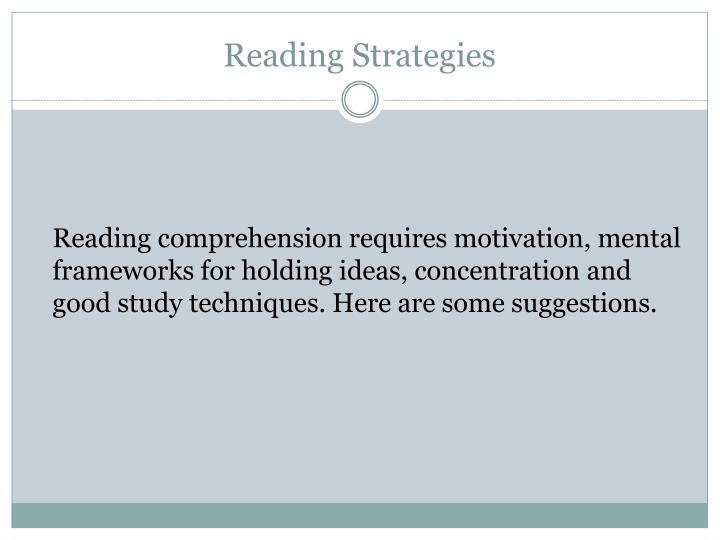 Reading Strategies Activities. 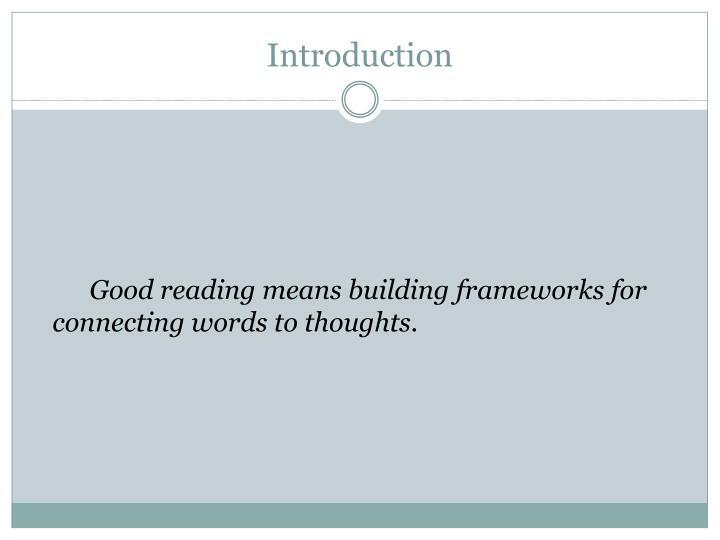 Good reading means building frameworks for connecting words to thoughts. 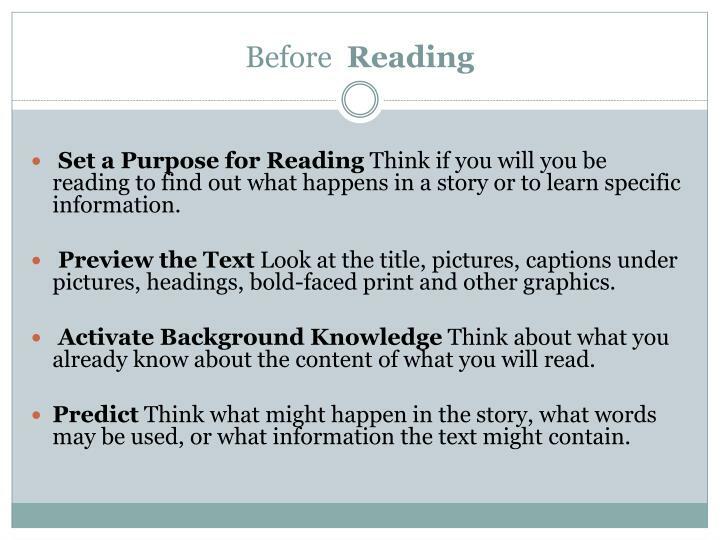 Set a Purpose for Reading Think if you will you be reading to find out what happens in a story or to learn specific information. 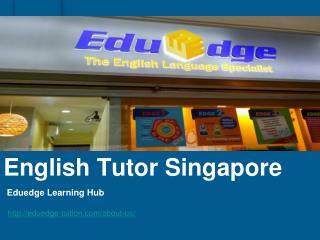 Preview the Text Look at the title, pictures, captions under pictures, headings, bold-faced print and other graphics. 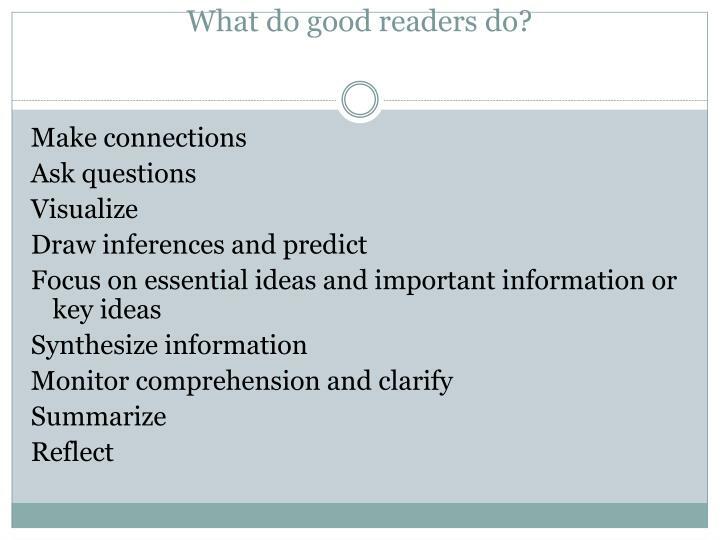 Activate Background Knowledge Think about what you already know about the content of what you will read. Predict Think what might happen in the story, what words may be used, or what information the text might contain. 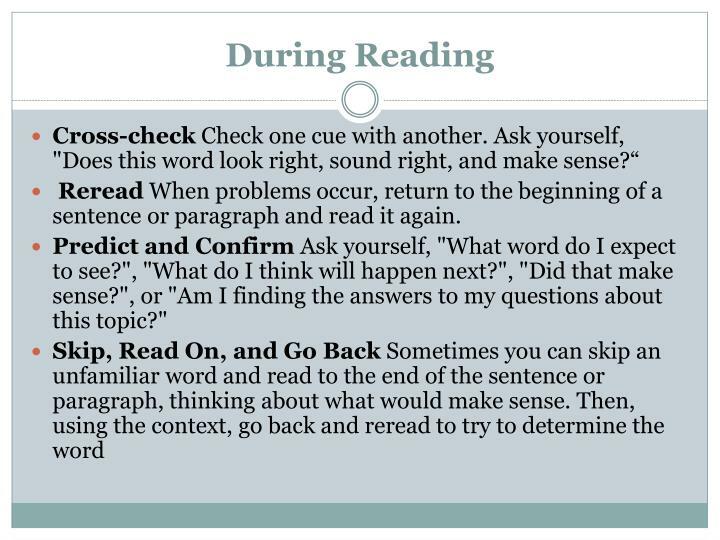 Reread When problems occur, return to the beginning of a sentence or paragraph and read it again. Predict and Confirm Ask yourself, "What word do I expect to see? ", "What do I think will happen next? ", "Did that make sense? ", or "Am I finding the answers to my questions about this topic?"
. 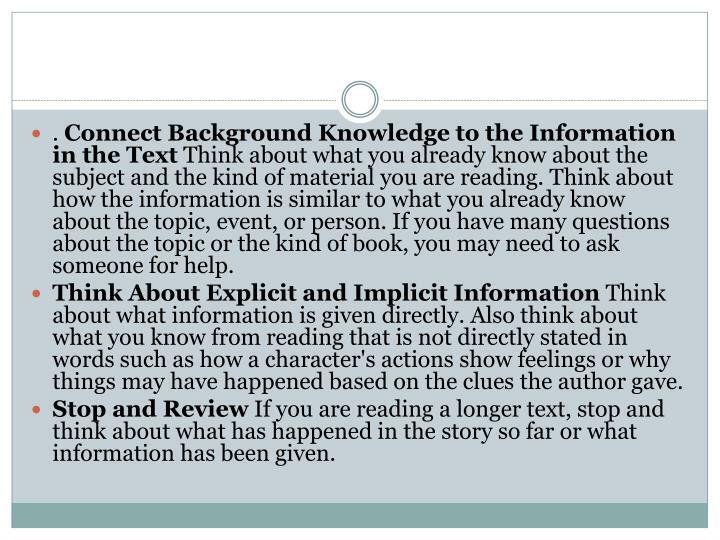 Connect Background Knowledge to the Information in the Text Think about what you already know about the subject and the kind of material you are reading. Think about how the information is similar to what you already know about the topic, event, or person. 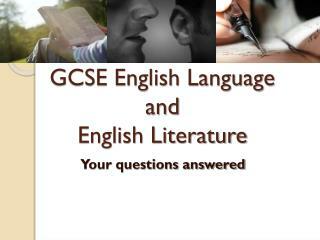 If you have many questions about the topic or the kind of book, you may need to ask someone for help. 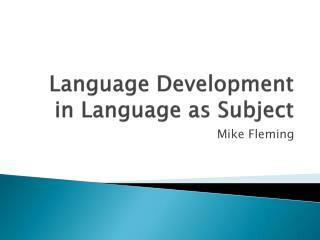 Think About Explicit and Implicit Information Think about what information is given directly. 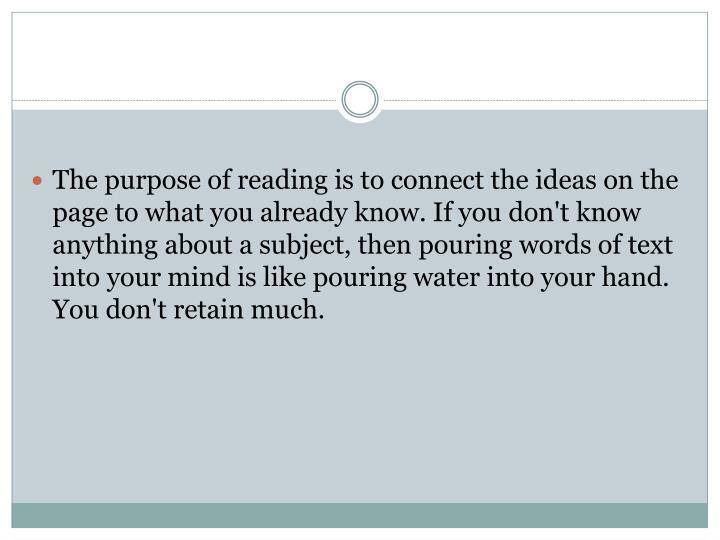 Also think about what you know from reading that is not directly stated in words such as how a character's actions show feelings or why things may have happened based on the clues the author gave. Stop and Review If you are reading a longer text, stop and think about what has happened in the story so far or what information has been given. 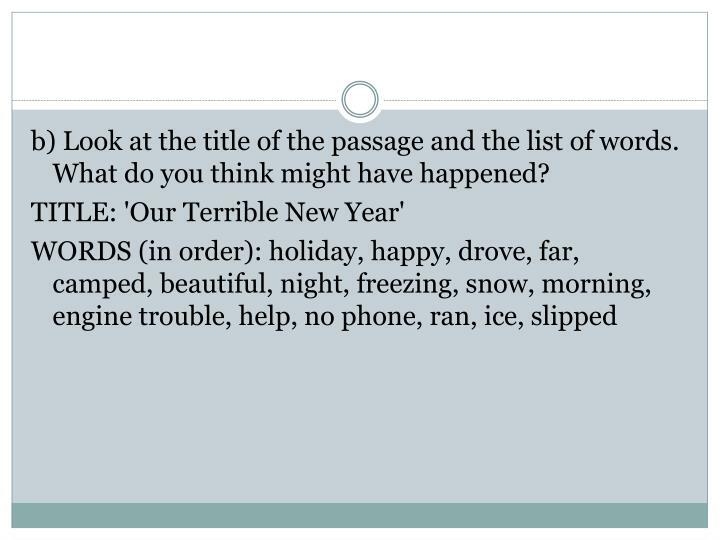 Retell and Summarize Tell someone or write what happened in the story, including characters, plot, and important events. 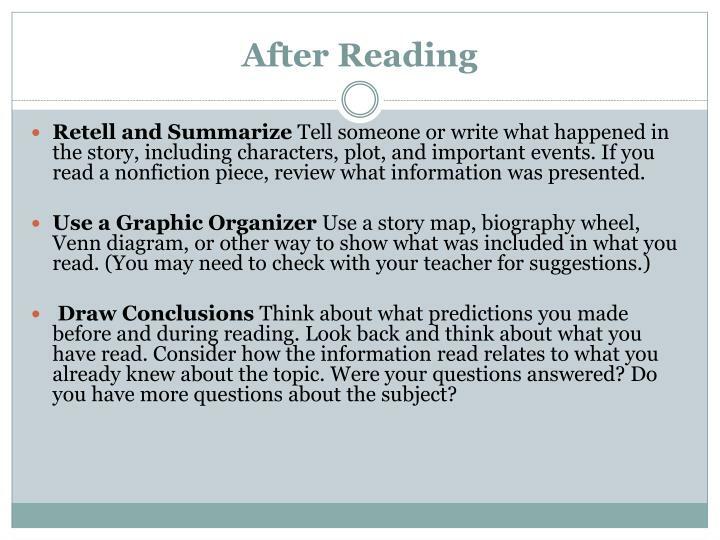 If you read a nonfiction piece, review what information was presented. Draw Conclusions Think about what predictions you made before and during reading. Look back and think about what you have read. 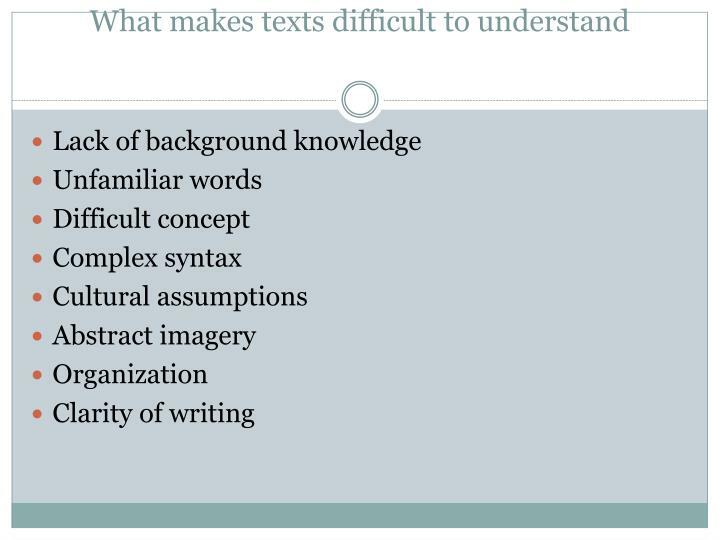 Consider how the information read relates to what you already knew about the topic. 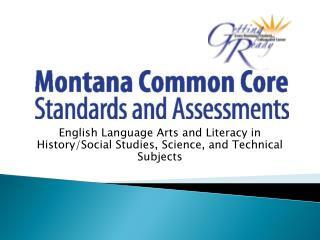 Were your questions answered? Do you have more questions about the subject? 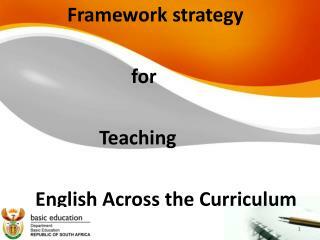 Reread :Reread the text or a section of the text to help you understand it better.. 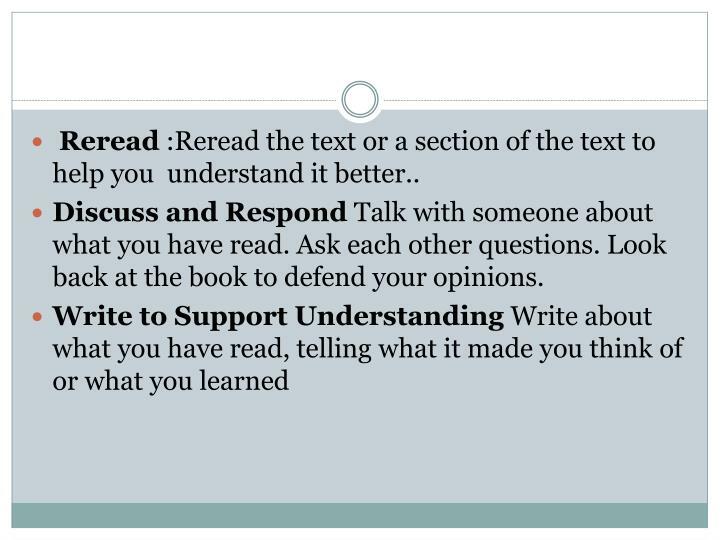 Discuss and Respond Talk with someone about what you have read. Ask each other questions. Look back at the book to defend your opinions. 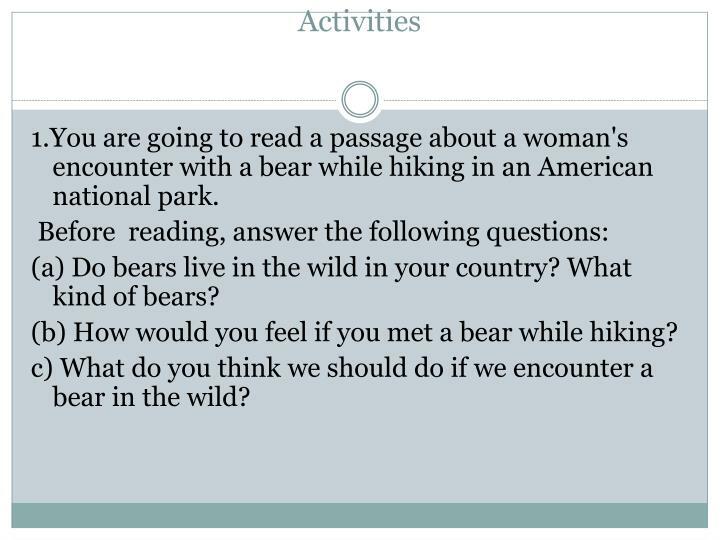 1.You are going to read a passage about a woman's encounter with a bear while hiking in an American national park. (a) Do bears live in the wild in your country? What kind of bears? (b) How would you feel if you met a bear while hiking? c) What do you think we should do if we encounter a bear in the wild? 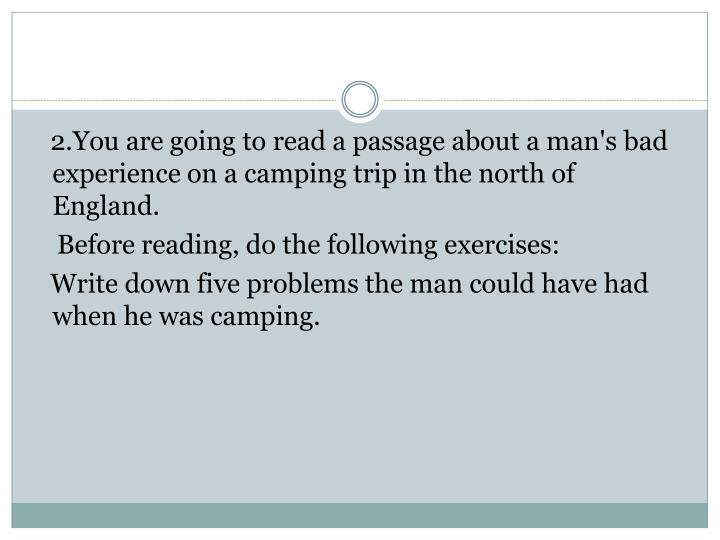 2.You are going to read a passage about a man's bad experience on a camping trip in the north of England. Write down five problems the man could have had when he was camping. 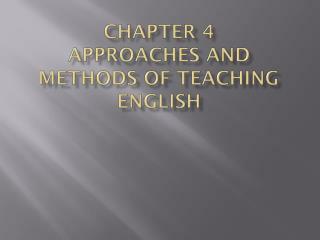 b) Look at the title of the passage and the list of words. What do you think might have happened? 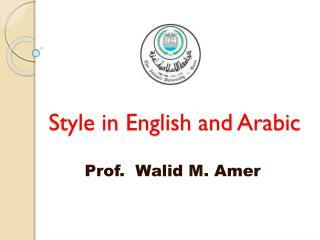 Welcome to class. 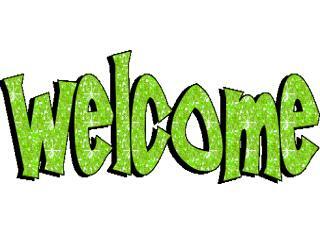 Please speak English only! -. subject - telling the time. 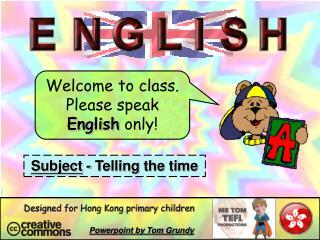 designed for hong kong primary children. 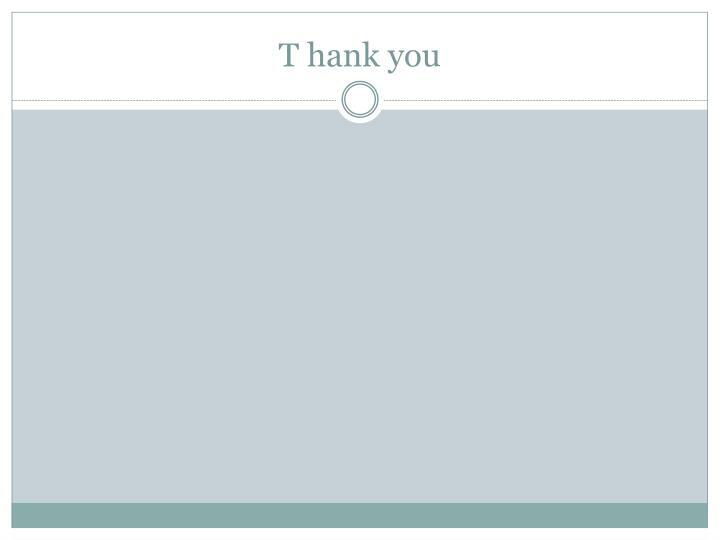 powerpoint by tom grundy. warning: speak. 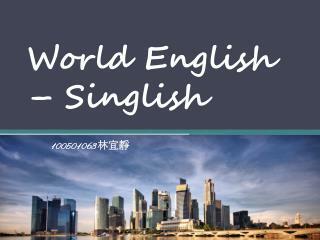 english only. no chinese please. 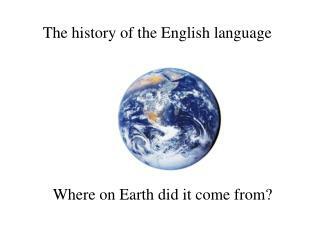 英語專區. how to tell the time. big hand. Subject: English Teacher: A.Petkoska -Subject: english teacher: a.petkoska students: aleksandra iljazoska , radislava maneska , snezana serafimoska , marija srezoska. what happened in 2009?. contents	. sport politic famous people. sport. 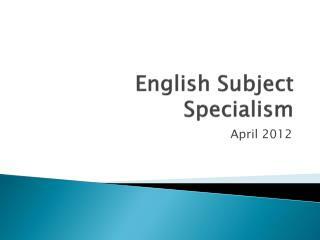 Subject : English. 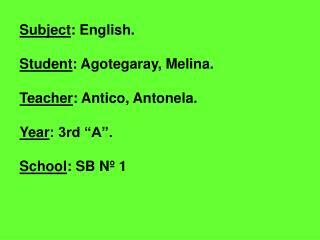 Student : Agotegaray, Melina. Teacher : Antico, Antonela. 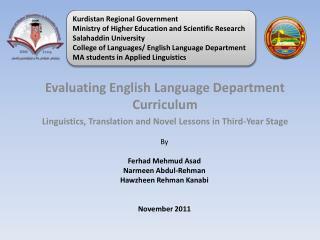 Year : 3rd “A”. 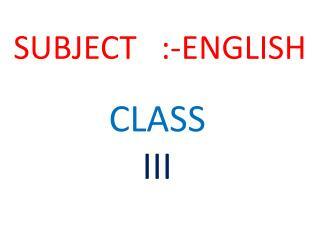 -Subject : english. student : agotegaray, melina. teacher : antico, antonela. 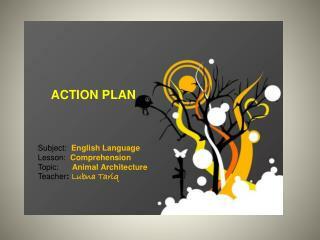 year : 3rd “a”. 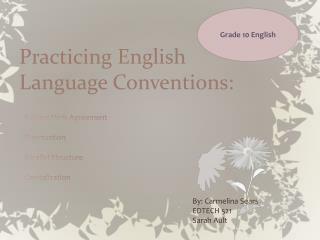 school : sb nº 1. this is my final production.